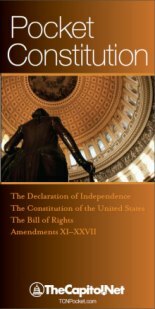 The practical guide to assist witnesses and their organizations prepare and deliver Congressional testimony. For use by anyone or any organization called to testify before a committee of Congress, and for those who are providing assistance in preparing the testimony and the witness. Testifying before Congress isn’t a fair fight, and there are few rules to protect you. 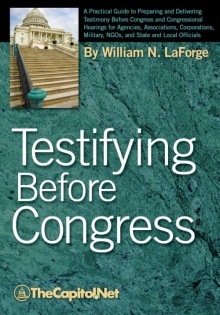 Bill LaForge has packed years of experience, seeing congressional hearings done well and done very badly, into this practical book, Testifying Before Congress. 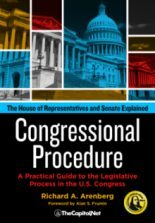 The perfect resource for anyone who wants to understand the congressional hearings process or who is preparing to testify before Congress. 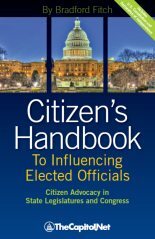 This book opens the door to the world of congressional hearings, and lays out a path to excellence for witnesses testifying on Capitol Hill. [A] very useful, one-of-a-kind, comprehensive treatise that provides an excellent road map. Private and government practitioners — and their clients — will be well-served by consulting this valuable guide before going to testify on Capitol Hill. 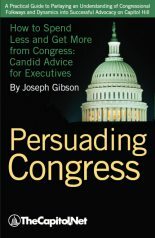 For complete Table of Contents, sample sections, and secure online ordering, see TestifyingBeforeCongress.com.